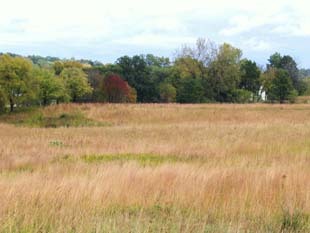 Several years ago I visited Ada Hayden Prairie Preserve in northeast Iowa with friends. 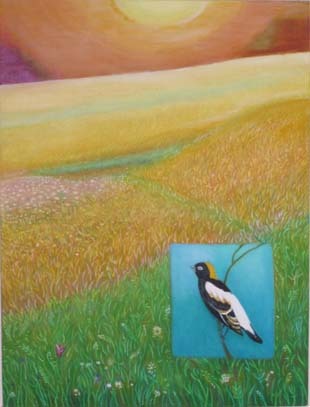 I was captivated by the bobolinks. The colorful birds were flitting around the scrap of native prairie, a mere 240 acres of virgin prairie surrounded by an ocean of corn and soybeans. That sunny day the prairie remnant was alive with flowers, long grasses, wild strawberries and meadowlarks. The Bobolinks were active, busy singing out to each other with their loud, long and bubbling calls. This is not a place that appeals to the masses, but with a little knowledge and openness one can see its magical qualities. The rare flowers, the butterflies and birds truly set these 240 acres apart. I have since been back, and in the spring have seen a dazzling profusion of shooting stars and prairie smoke. A modest rock designates the preserve, naming it for Ada Hayden. Intrigued, I looked into the background of the woman and site. The more I learned about Dr. Hayden, the more I was inspired by her. She was ahead of her time in recognizing the value, importance and beauty of the prairies as well as other native landscapes. She was also ahead of her time in her scientific study and understanding of them. Our indigenous prairie landscape is the most threatened plant and animal system in the world. More than 99% of our original grasslands are gone, making it one of America's most endangered ecosystems. Ada Hayden saw the prairie around her being changed forever and had the vision to see its beauty and value and fight for it! Blending art and science throughout her life, she used art, eloquent writing, and science to advance her cause. This was a person who was creative, resourceful and devoted; her devotion to something so unappreciated took considerable courage and fortitude. This website was made possible by a grant from the Southeastern Minnesota Arts Council. Special thanks to Iowa State University and the Ada Hayden Herbarium and to the Lanesboro Arts Center. Copyright© 2012 - 2019 Celeste Birkeland - All rights reserved.